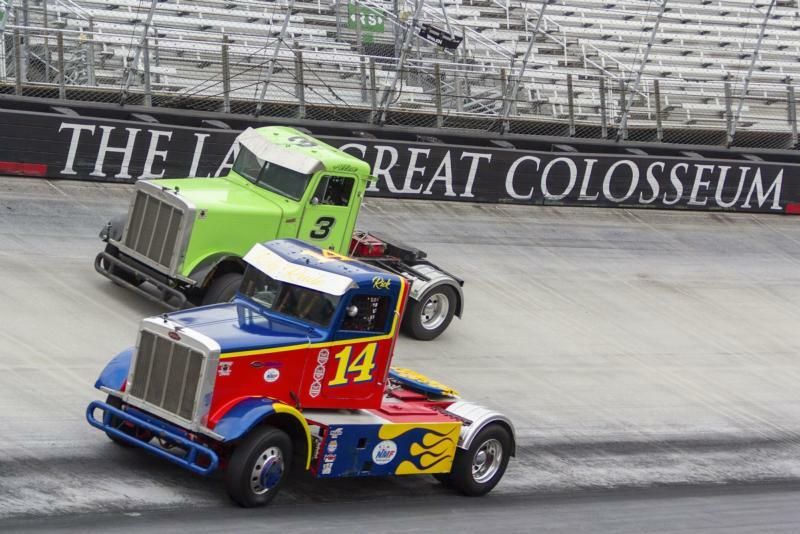 The Iron Giants of Asphalt, quite literally the BIGGEST attraction in racing, The Bandit Big Rig Series, will crown its 2019 series champion at Bristol Motor Speedway this October, it was announced today by track and series officials. The inaugural Bandit Bristol Battle, Saturday, Oct. 12, will showcase the world's fastest semi-trucks rumbling around the iconic high-banked all-concrete half-mile oval in pursuit of championship points in their 2019 season finale. The Bandit Big Rigs were featured in an exhibition race at BMS last fall during the BMS Monster Truck Mash, a companion event with Monster Trucks, however this time they will be the main attraction and in addition to the racing, the event will include a Fan Series Truck Show and many activities for kids planned throughout the day. 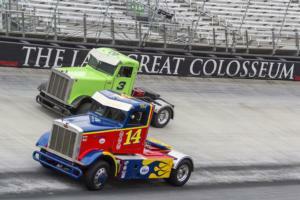 "When those big rigs are thundering around The World's Fastest Half-Mile at more than 100 miles per hour, it gets your attention really quickly," said Jerry Caldwell, executive vice president and general manager, Bristol Motor Speedway. "They put on quite a show last Halloween during some exhibition races, but this year the stakes will be raised significantly as they will be going full bore to win the race and earn critical points toward their championship. We are honored to host their final race of the season where a champion will be crowned. It's going to be a lot of fun. I can't wait." All of the top stars of the Bandit Big Rig Series will be here including "Black Dog" Mike Morgan, "Lightning" Scott Treadway, Ricky "Rude" Proffitt, "Ice Man" Bob Mitchell, Brian Ca$h, "Turbo" Allen Boles, Justin "Boost" Ball and "The Godfather" Craig Kruckeberg. "We raced this beast last year at the Halloween Monster Truck Mash and the crowd loved it," said Kruckeberg, also the owner of the series. "It wasn't a points race, but we held nothing back and showed off for the fans. We're going to chase lighting again and bring all the Bandits to Thunder Valley on Oct. 12 and close our year out in style and crown the 2019 champion. We are looking forward to creating a great tradition with the Bandit Bristol Battle at this storied track." Gates will open at 12:30 p.m. and fans will be able to meet the drivers of the Bandit Big Rig Series on the backstretch at 1:45 p.m. The green flag will drop at 3:30 p.m.
Tickets are $15 for adults and free for kids 8 and younger. Tickets for the Bandit Bristol Battle are on sale now and can be purchased at www.banditseries.com/bristol.